There are several ways and paid services available to create your custom email address @ your domain name but this article is about free ways and services to get your custom email address at your website or domain name. Before you read further, you should already own your own domain name i.e. your personal website (eg. techotv.com).. It is professional and helps in branding. It reminds people of your website so in its own way doing the job of marketing with people you interact. It feels great to tell non-geeks your email address. They wonder how you got one and look at you with curiosity. Now let us talk about two free ways by which we can create custom email address with our own website name. Login to your cpanel account using the information received from hosting provider when you bought web hosting. After logging into cpanel, you’ll notice a section for mail. Just hit the email accounts option and create email accounts as desired with the required mailbox size. After creating email accounts, you’ll see list of newly created accounts below. Just beside those email address, hit on ‘Access webmail’ link and then on the newly opened page, hit on ‘Go to webmail Login’ . You’ll be presented with few cpanel webmail applications like Horde, Squirrelmail, etc. Access your mail using any one of the listed. Note: The above mentioned steps might differ slightly based on the individual configuration of the server of your webhosting provider. 2. By using third-party email hosting solution i.e. Google Apps for domain or Zoho – For using third-party email hosting solution, you’re generally required to pay premium charges but with limited features, you can enjoy third party solutions for free. Google Apps and Zoho provide such solutions. To use them, you just need to alter dns configuration of your website i.e. change the mx entries to direct your mails to zoho or google apps server. Now the question arises, Which one is better (Google Apps VS Zoho )? Zoho provides only 3 free email accounts with mailbox size of 5 GB/user where as Google Apps Free edition provide upto 10 accounts with inbox size of 10 GB per user. On ZOHO, you won’t see any ads where as on free google apps, you’ll see ads. You can use your google apps email address like the standard gmail address and access your inbox or perform mail related operation by directly logging onto gmail.com hence Google Apps provide you much more familiarity if you’re already a gmail user. Based on these facts, I recommend Google Apps. Hence, decide what you want to use and proceed to the next section of this article. Login to your cpanel account and then under the mail section, hit on mx entries. Now you’ll see add a record field, just enter the information there to add all mx entries. 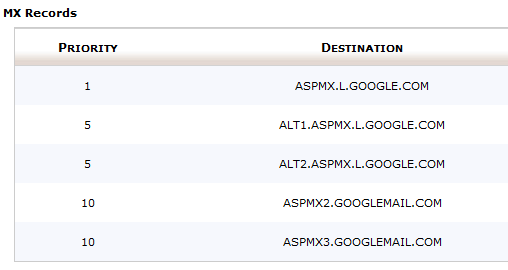 If you’ve decided to go with Google Apps, add the following mx entries as shown in the image below. If you’ve decided to go with zoho, add the following as show in the picture below. Now after adding, chose Remote Mail Exchanger radio button located on the same page and hit on Change button. After changing the mx entries for custom email address for your domain name, create an account either on Zoho or Google Apps (whichever you selected). Go to sign up link here . Fill your domain name and proceed with the registration. Then you need to verify your domain name. HTML method is conventional so chose it and download the required file to be uploaded on your hosting account. (If you don’t have hosting account, dns method would be convenient). Log into cpanel or FTP of your hosting account and then create a new folder in public_html with the name zohoverify. Upload the downloaded file in the step above to that new folder. Now click on verify domain on zoho registration page. You don’t need to alter any mx entries because you have already done as per the steps mentioned in the above section. Proceed with the creation of accounts. Done! Don’t forget to verify your zoho account by confirming your registration link received on your primary email address you mentioned while registering. Go to Google Apps Free registration link here . Enter all the information as required including your domain name. Now after registration you need to verify that you own the domain. Chose either html method or dns method. Recommended method is HTML if you already have cpanel hosting account. 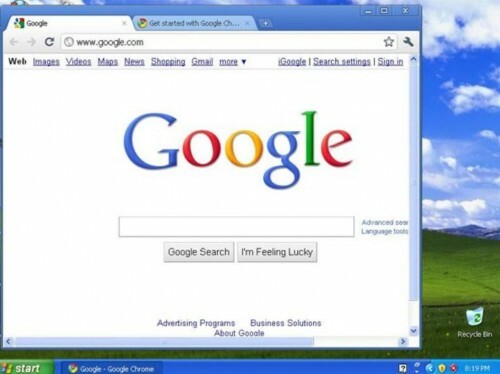 Download the html file and upload it to your hosting account in public_html folder. Go through the setup wizard and finish it. You don’t need to alter mail settings or mx entries because you have already done that so you can skip that particular step in the wizard. Done. Create users as required. While creating users, you can also set their passwords. Once you have created accounts, you can access mail features by either visiting http://mail.google.com/a/yourwebsitename or by visiting gmail.com and login using emailaddress@yourdomainname and the password.